Use this guide as a general assessment for ways to belay a seconding climber from above. Remember, learning about rock climbing online serves as a tool, but in no way are written articles a substitute for hands-on instruction. Failure to follow appropriate safety measures could result in serious injury or death. If just getting started, seek professional climbing courses offered by AMGA-certified guiding services. Be smart, and climb safe. When arriving at the top of the climb, a leader is faced with multiple options for belaying up his/her follower. The classic method for belaying from above has involved a belay direct from the leader’s harness and redirected through the anchor. 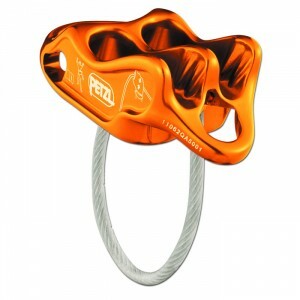 But, some argue that this is the “old” way to belay from above, and instead recommend using guide mode on an auto-blocking belay device — such the Black Diamond ATC-Guide and the Petzl Reverso. In a redirected belay, the belayer clips the rope that leads to their partner into a carabiner or quickdraw attached to the anchor above the waist. The belayer then attaches this rope to the belay device on their harness. In this scenario, the belayer holds part of the weight during a fall and the anchor bears both the belayer and partner’s weight; creating a 2:1 force on the system. When belaying with guide mode, the ATC-Guide or Reverso (not a standard ATC) is configured directly onto the anchor. In the event of a fall, the weight is transferred at a 1:1 ratio of force onto the system—which bears only the climber’s weight. 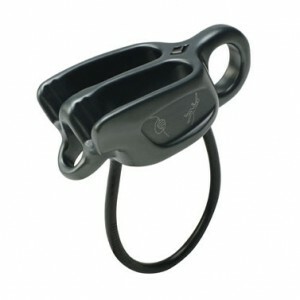 Clip a locking carabiner into the large metal loop on the device, attach to the master point of your anchor, and lock the gate of the carabiner. Insert a loop of rope into the ATC’s opening; keeping the climber’s end of the rope on top (this essentially pinches/locks the brake strand on bottom in the case of a fall). 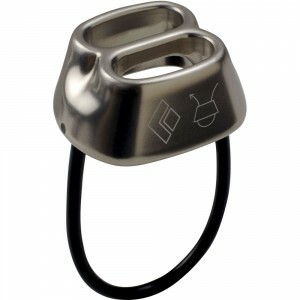 Take another locking carabiner, and clip the rope loop and the belay device’s cable, and lock the gate shut. Before belaying, tug on the climber’s rope to ensure you have positioned the rope correctly. You should feel the auto-locking capability. To begin belaying, feed rope up through the device with one and while simultaneously pulling down with your braking hand. In the event of a fall, the device will lock. Am I secured by at least two solid points on the anchor? Have I locked all locking carabiners in the belay system? Is the rope fed into my belay device in the correct position? Thanks! Very clear description of pros and cons. I am missing the “belay directly from harness without a redirect” option, though. It is still practised some places, and in some special circumstances necessary.